Since 1992, The Crawford Co Sheriff's Office has been involved in a major project to bring the department up to date in several areas involving computers and other technology. 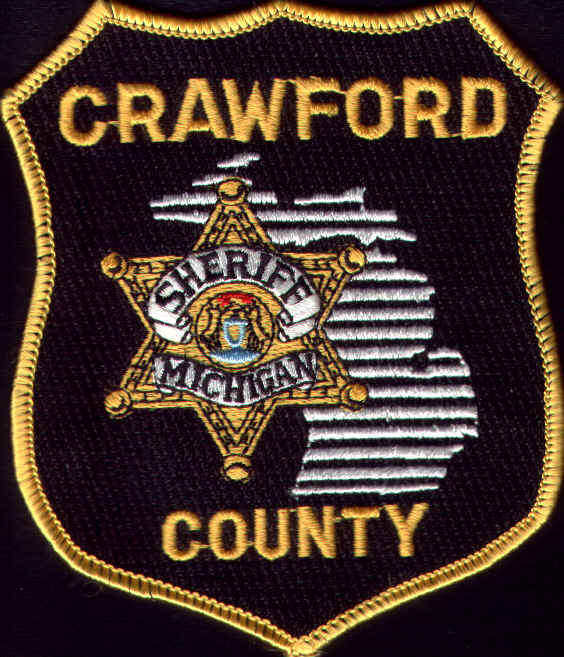 The Crawford Co Sheriff's Office has migrated to MPSCS is Michigan's Public Safety Communications System. With more than 231 towers, 48,000 radios, and covering an area of more than 58,000 square miles, the MPSCS is the largest public safety communications system in North America. It proudly provides interoperable voice and data communications for many of Michigan's first-responders and State Government agencies. We migrated from high band VHF (150 mHz) radio system. The older system was antiquated, car to car transmissions had to relayed through dispatch as one car could not hear another in a far part of the county. We no longer need to support a VHF repeater with the associated costs, tower fees, etc. In 1992, the Sheriff's Office purchased in concert with the Courthouse Offices an IBM AS 400 computer system. A records management software made by New World Systems in Troy, MI was purchased. This allowed the first automation of police reports, corrections, budget, property, civil process, CAD (Computer Aided Dispatch), tickets, warrants, impounded vehicles into one comprehensive program. This program was used successfully until 1999 when the cost to maintain the program was cost prohibitive under county finances. Other software vendors were extensively reviewed and a grant was applied for from the State of Michigan. We selected FSG - LEMS (Law Enforcement Management System) for our new software program. The cost of this program was less than 50% of the cost for an upgrade for the New World System. The license fees for maintenance are very cost effective also. In the continuity of automation, this software is also now used by Kalkaska, Otsego, Roscommon and 29 other Michigan counties. A grant was awarded for a connection to be able to share information between the three counties Sheriff's Offices, the Courts and prosecutors offices in Grayling, Gaylord and Kalkaska. The goal is for a paperless transfer of information. New equipment such as a new IBM AS 400 to replace the outdated machine , a network system within the county linking, the Sheriff's Office, Jail, Courts, Prosecutor, and Dispatch. We have been able to eliminate IBM 5250 display terminals with PC's and operating with the most efficient software (Office from Microsoft). A few IBM displays remain but are being replaced as other grant monies purchase new PC's. Our records from New World System were migrated to LEMS so all older information is on our new computer system. These Modules interact with each other for a complete Records System. Every Time a person is arrested in Crawford Co, that person has their picture taken and filed at the Crawford County Sheriff's Office Jail. 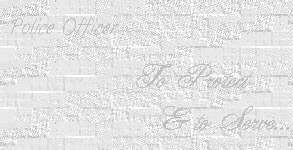 As of February 2000, We have installed the latest technology for capturing inmate images. The new method uses a video camera to take a still frame of the person. That image is then stored on the mainframe IBM AS-400 computer. (Click here for Sample Mug shot) The image is saved with the persons name, date of birth, date picture taken, inmate number, and description. This picture is printed on a standard Canon color printer using a card. We can also print wanted posters and labels for internal use within the jail. A Polaroid picture was taken before with the average cost of $1.35 per picture (dual frame - front and side shot) , the cost for the picture now is approx 25 cents including the cost of the photo card and the printer ink. This is a savings of $ 1.10 per inmate. This system also allows multiple shots and you only print the picture that you need, no more wasted film on retakes. Another big advantage is in putting together a "photo lineup". A photo lineup is when an investigator has a suspect in mind for a particular crime and has a witness that believes they can identify that person. In order to conduct a legal photo line up the investigator must compile several photographs of people that are similar in appearance. Without the computers assistance this can take several hours. Using the LEMS video mug shot software, it can be done in seconds. The computer finds people that match the criteria you enter and then brings back those images to the computer screen. Those photographs can then be printed and saved with the rest of the investigative documents. All older Polaroid Photos within the files are being scanned into the photo database so your database gets larger as the number of photos stored on the mainframe computer increases. All patrol vehicles are now outfitted with Sony Digital Cameras. All photos taken are in digital format and are stored on a standard 3-1/2" floppy diskette. The pictures are stored on the computer server and are only printed as needed on a standard Canon PC Color Printer. This has a large savings on the cost of film, development costs, extra printing, etc. This is also a large savings on storage space as the pictures are archived on computer. There also is a savings on man hours in the delivery and pick up of photos and film from the local processor. In the government complex, there are numerous personal computers and printers linked on a common fiber backbone using 100 mbps fast Ethernet switches. This interconnectivity facilitates efficient use of information resources and also serves as a key communication resource by extending electronic mail capabilities to a all County employees. Microsoft Servers constitute the foundation of the County's network server environment, supporting network links for the computer devices attached to one primary local area network in the County's government complex. A firewall protects the computer network from outside influences. This process uses the latest computer / image scanning technology to capture finger prints. Instead of using black ink, the arrested subjects fingers are scanned by a sophisticated image scanning device. Once scanned, the finger prints are stored on a computer disk. They are printed when needed and will be submitted to the Michigan State Police and FBI electronically, so that a criminal history, based on the finger prints, is made. This will provide quick and accurate identification of the arrested subject. This method not only saves time and materials (lots of paper print cards) it also makes for much better quality prints. Installation of a central server for student criminal justice school problem record reporting as required by Public Act 102 of 1999. Automatic warrant entry, modification or cancellation, from court to LEIN with no duplicate record entry.